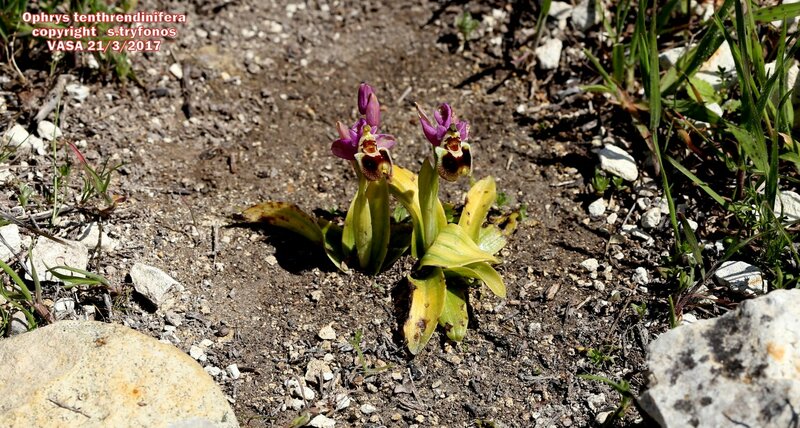 It is a perennial tuberous orchid growing to 30cm high. 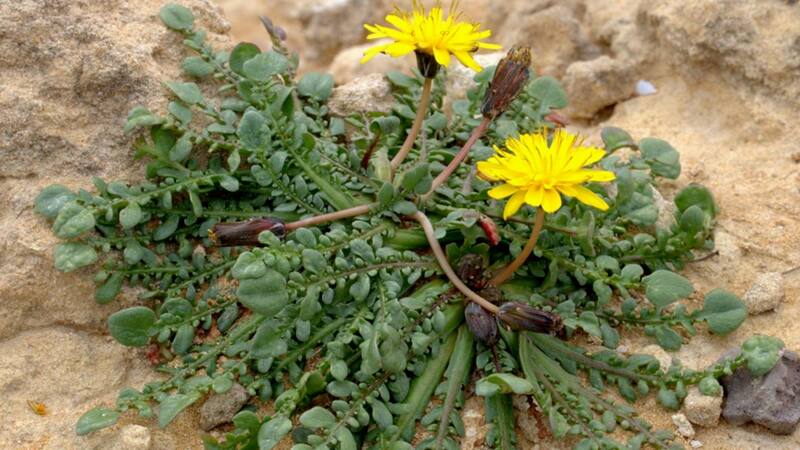 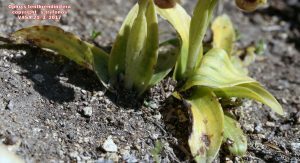 Basal leaves 3-7, usually 3, spreading, oblong, green, glabrous, venation parallel, apex obtuse, sessile, unspotted; cauline leaves erect, pointed, partly surrounding the stem at base. 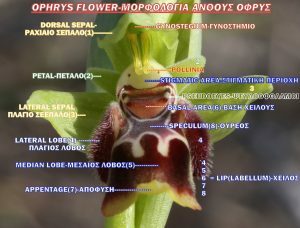 Sepals conspicuously bending backwards, pink to violet, ovate, glabrous, apex obtuse; dorsal sepal concave, boat-shaped. 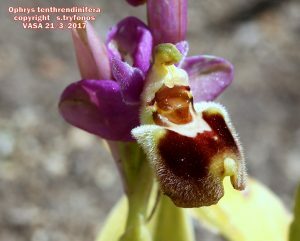 Petals bending backwards, pink to violet, triangular, covered with smooth dense hairs, apex obtuse. 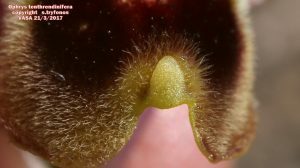 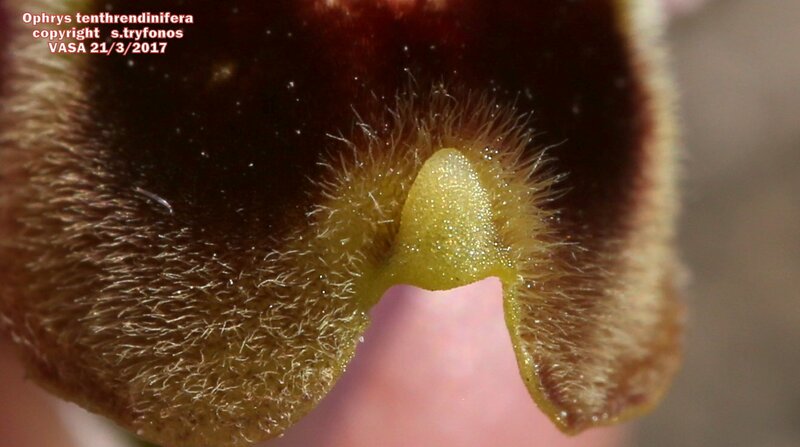 Lip entire, rectangular, more or less straight, brown at the center, brownish to yellowish-green on margin; sides recurved, covered with white-brownish hairs; «shoulders» rounded, greenish. 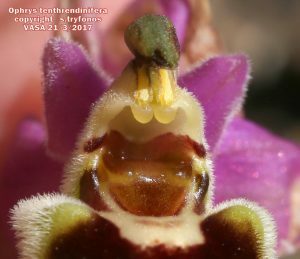 Speculum is small, prominent, whitish horseshoe-shaped figure, located on the upper part of lip. 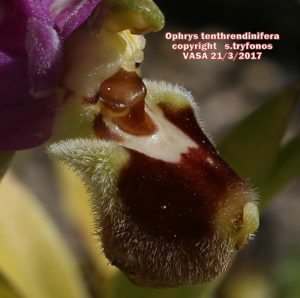 Basal field brown; Gynostemium green with yellowish pollinia. Stigmatic area with a prominent horizontal brown and narrow band. Pseudoeyes olive-green. Appendage( the southern end of the lip) upturned, yellowish-green. Flowering time February-March. 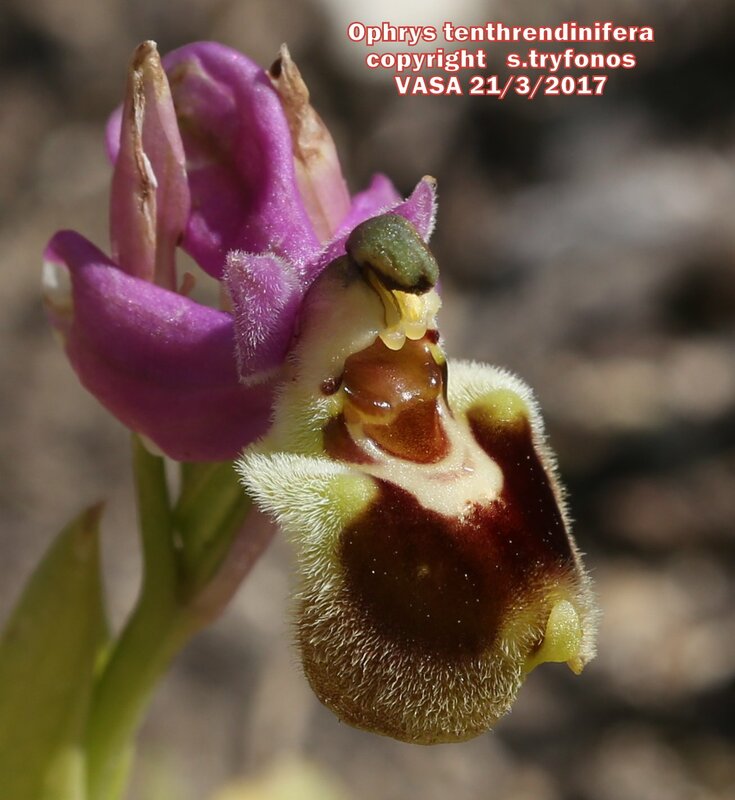 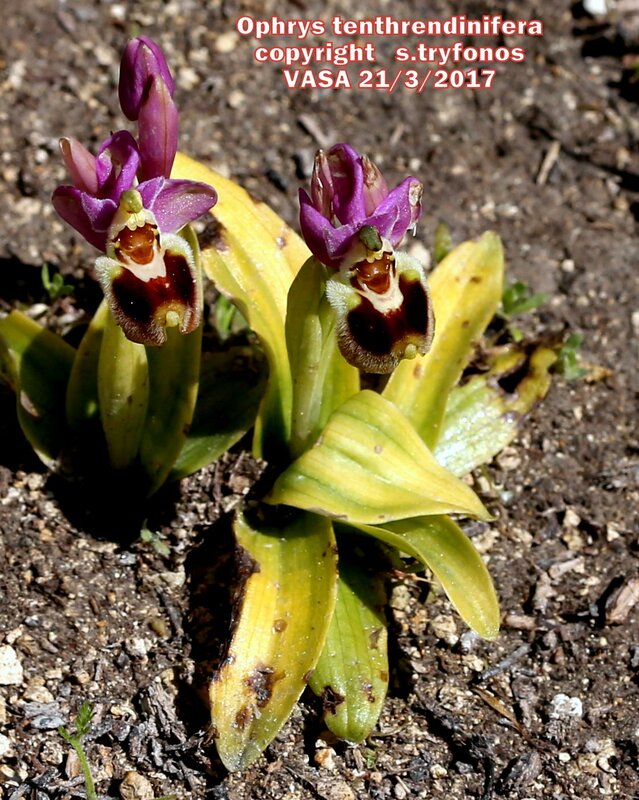 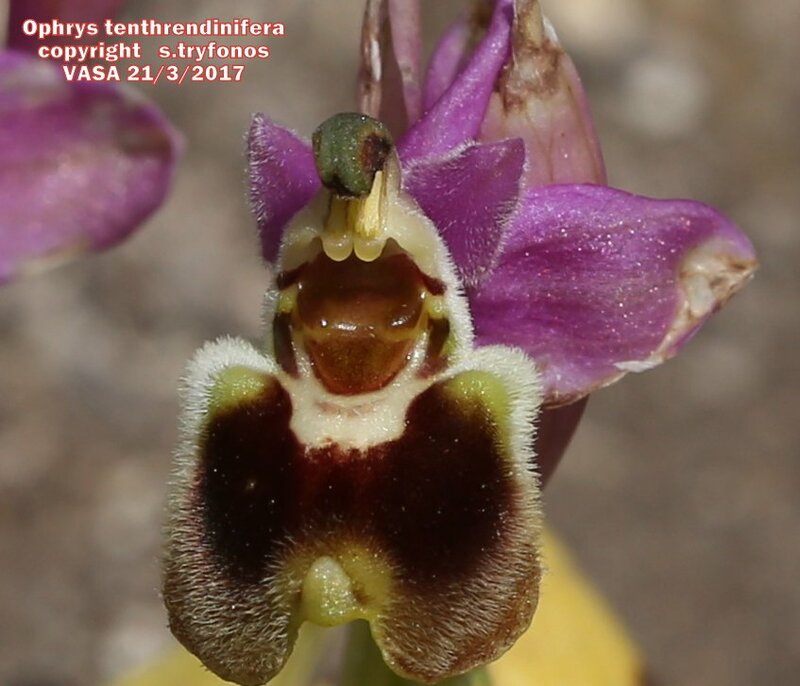 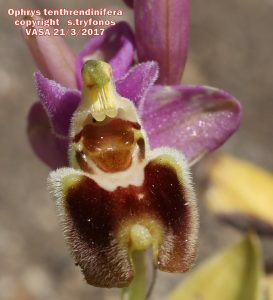 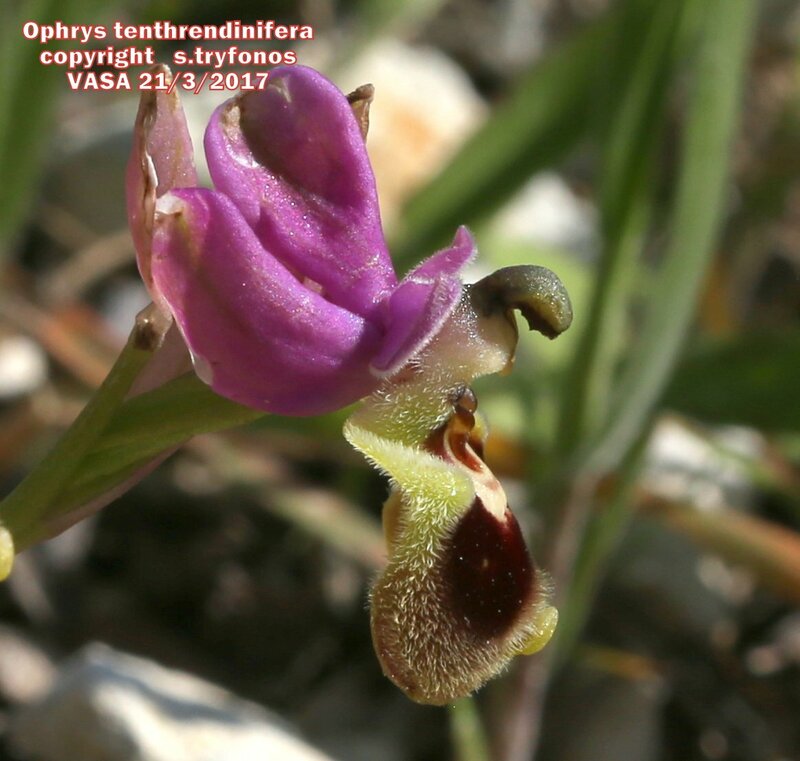 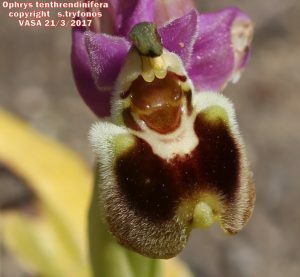 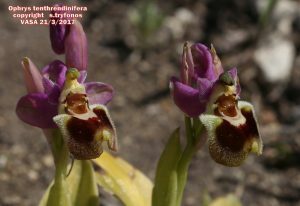 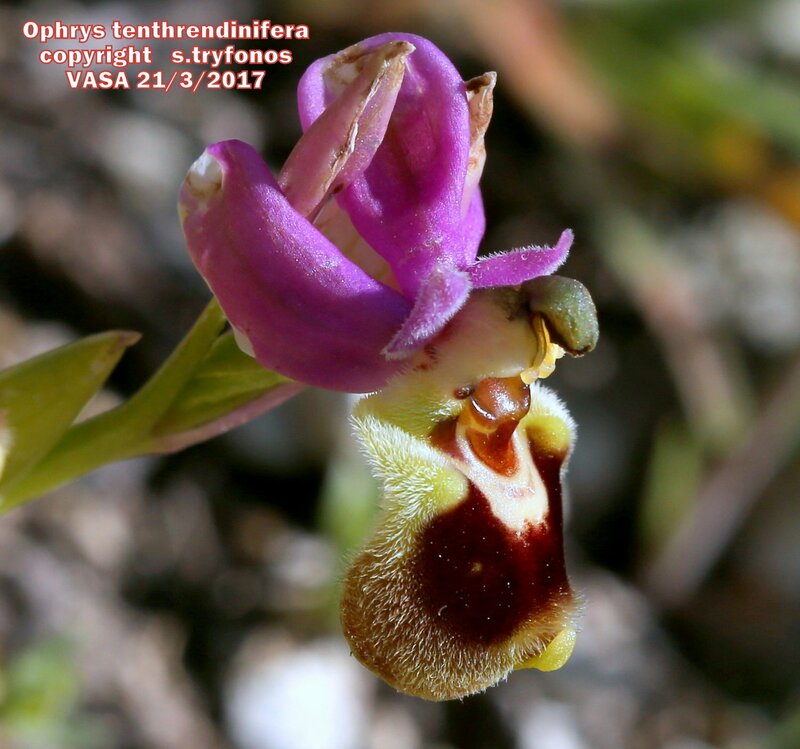 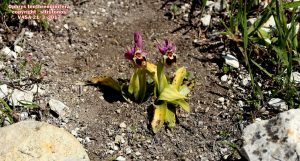 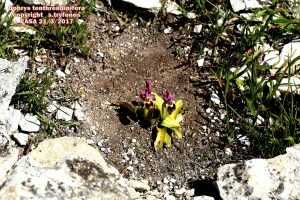 Very rare, I am confident that this orchid is the rarest in Cyprus; there is only one location known until now. 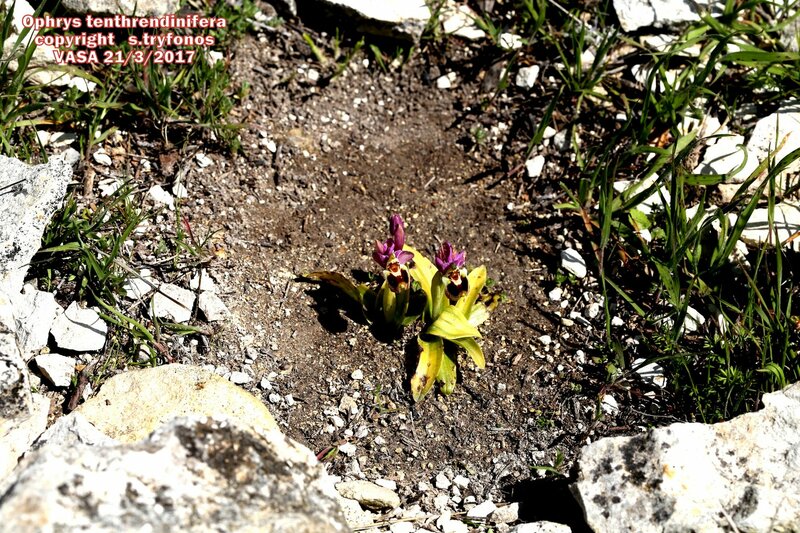 On garigue 0-300m alt.